Why Should I Worry About the Internet? There are incredible opportunities available on the internet: to learn, be entertained, research, communicate, and so much more. Harnessing the power of the internet to do good for you and for your family is something everyone needs to be able to do. The internet is so available, and so pervasive in today’s culture, that avoiding it out of fear is practically impossible. Nor should you fear the internet itself. But, the fact is there are some inherent dangers that can potentially rear their head each and every time someone goes online. Forewarned is forearmed, and this article’s purpose is to provide some of the education needed to intelligently navigate this wonderful resource that exists safely and easily. What Dangers Exist on the Internet? Let’s look at some of the more important potential hazards faced by users of the internet. 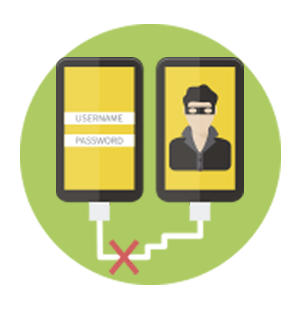 Identity theft, malware, phishing, phony surveys, phony websites, fake Wi-Fi servers—all these and more are set up and deployed via the internet to try and trap unsuspecting users. Legitimate social media creates enough concerns about filling out surveys and entering contests that collect your personal data. But if a real ‘nogoodnik’ sets up shop online and wants your data? That chance to win gift cards or vouchers from well-known retailers, or survey or contest with a fabulous prize that you come across online may pose a real threat. Once you enter the survey or contest and ‘verify’ your identity? Now the cybercriminal has it. And will almost certainly use it. This danger is very real: nearly 40,000 victims were lured in by a phony IKEA gift card page on Facebook. 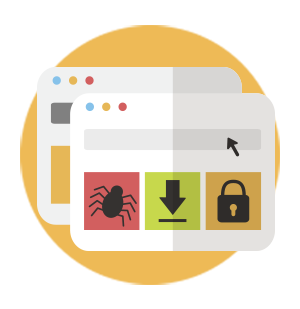 Malware is basically software intended to cause harm after it is introduced—usually without the user knowing—into the target computer. The malware might shut down your computer—locking it until you pay a ransom. Or it may be sneaky and come in to steal your data. And if you think it can’t happen to you… you should know that it happened to the US OFFICE of Personnel Management (OPM)—the arm of the government that functions as Human Resources. And this malware attack gave the attackers access to the OPM servers for months before being discovered. Approximately 25 million government employees’ sensitive data was compromised. The subject or the name of the sender may be one you trust– perhaps AMAZON, or Walmart, or Target. It may be the name of someone with whom you already do business. But, when you open the link and enter your password, cyber thieves intercept your credentials and may have sent a spy virus into your computer. Welcome to a phishing scam, which might look like the below: Note that that “Amazon.com” is actually another site… so don’t go there. 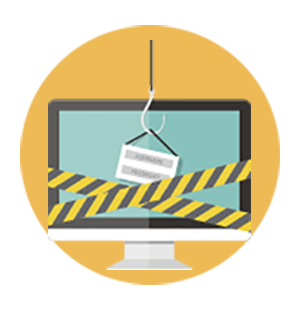 Somewhat related to phishing, phony websites are easy to set up. Any kid who can right-click can steal logos and images from any company. And sophisticated cyber criminals can build a truly authentic looking website. They can even manipulate data to rank the site in search engines—at least for a while. 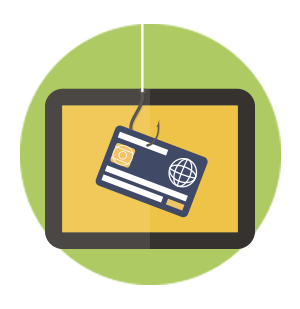 But anyone who makes a purchase on such a website not only will almost certainly not receive the product they ordered—but their credit card information will almost certainly be used to make other unauthorized purchases by the crooks. Surfing the net on legitimate public Wi-Fi is dangerous enough. But today’s cyber thieves set up an entire FREE WI-FI system, hoping that you’ll log on and transmit your personal data. Once you’ve accessed Wi-Fi via a site set up to target you, everything you type from that point forward while connected will certainly be stolen—and your data used for no good. Well caution while online can’t be overstressed. 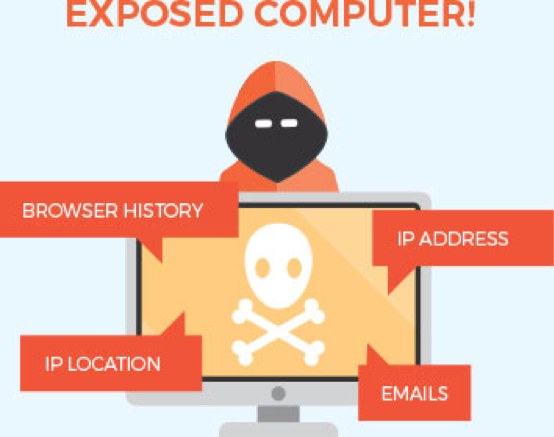 Children and the elderly and most prone to not being aware of the dangers lurking online. You can help protect them—and yourself—by getting a good VPN service like http://slickvpn.com. A VPN will encrypt all your data, and your IP address will be masked. Cyber crooks can’t steal what they can’t see.